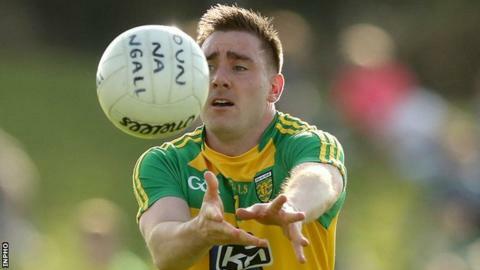 Martin O'Reilly has become the latest player to opt out of the Donegal football squad with his decision taken following limited recent game time. Last weekend, it was revealed that Odhran MacNiallais would not be involved during the remainder of 2019. Gaoth Dobhair man MacNiallais said he had lost his hunger for football. St Michael's midfielder Martin McElhinney and his fellow club-man, goalkeeper Mark Anthony McGinley left the panel last month. MacNiallais was a close friend of Gaoth Dobhair panellist Micheal Roarty, who was among the four young west Donegal man killed in a road accident in late January. O'Reilly played during the Dr McKenna Cup in January and started in the league win over Meath at Ballybofey in early February but was an unused substitute during the remainder of the league, as Donegal clinched the Division Two title with last month's victory over the Royals. The Dublin-based Sean MacCumhaills player has indicated that he will concentrate on club action for the foreseeable future. O'Reilly holds three Ulster Championships medals in addition to being part of the All-Ireland winning squad in 2012.